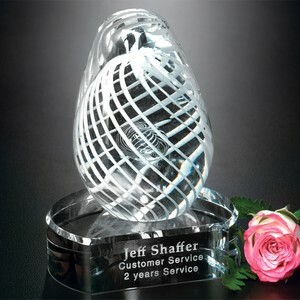 White Swirl on Clear Base Art Glass Award 5 in. This clear glass teardrop features interior white swirled lines. Available with or without a base.